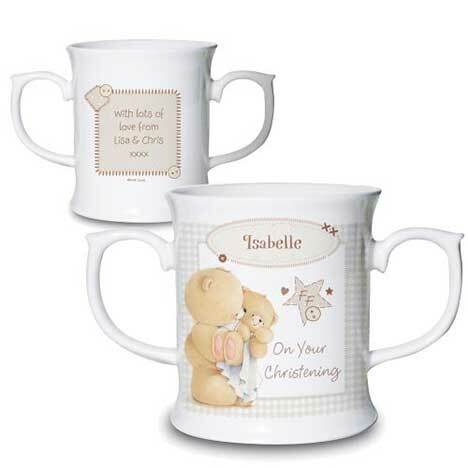 This personalised christening mug has two handles, meaning that even the smallest of fingers can be steadier while drinking out of their own special cup. Personalise the front with a name up to 12 characters and a short message spread over two lines up to 15 characters per line. Personalise the reverse with a message spread over four lines up to 15 characters per line.